In a normal pregnancy, fertilization takes place in the uterine tube and then the fertilized egg travels along the tube to the main cavity of the uterus, where it is implanted in the uterine lining. In an ectopic pregnancy, however, the ovum never completes the journey to the uterine cavity. 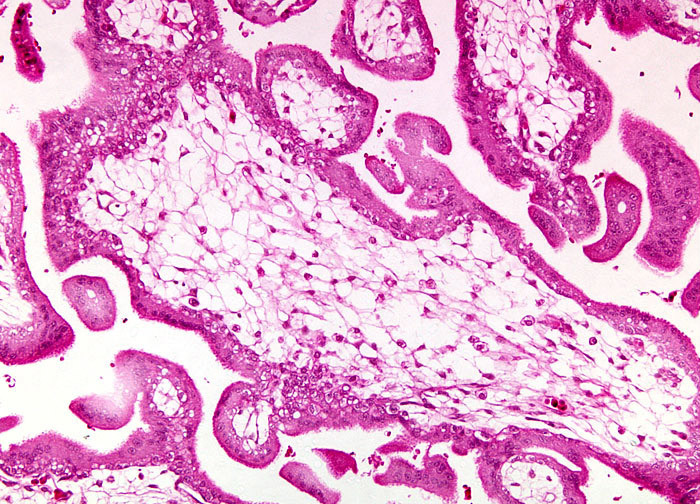 Instead, implantation occurs in the uterine tubes, abdomen, or even, in rare instances, in the ovarian follicle if fertilization takes place before the egg is released. Ectopic pregnancies are nearly impossible to carry to term and usually result in spontaneous abortion. The condition is relatively common, occurring about once in every 300 pregnancies.